Edinburgh currently lead Munster 10-7 at half-time in their Champions Cup quarter final clash in a feisty affair at Murrayfield. Munster’s defence somehow managed to keep Edinburgh out in the first quarter before some quick thinking from Keith Earls gave the Irish province the lead after 19 minutes. 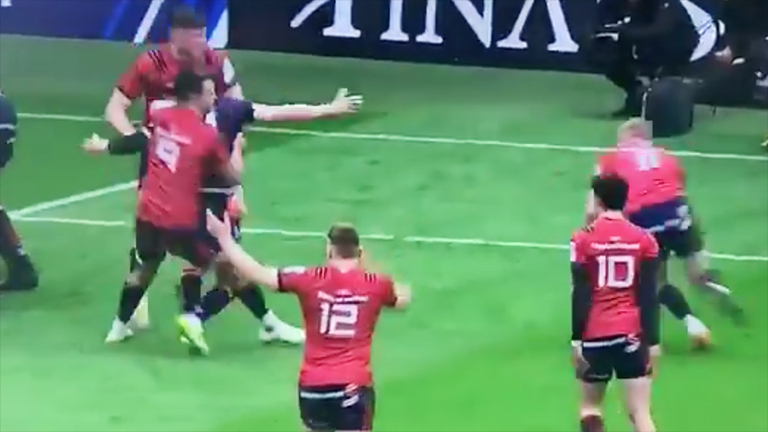 Edinburgh nine Henry Pyrgos was lucky not to see yellow for blatantly interfering with Conor Murray – but his opposite number had the last laugh, landing him with a WWE style ‘german suplex’. But Edinburgh fought back with a try of their own and a penalty to give them a three point lead. Cracking affair so far.